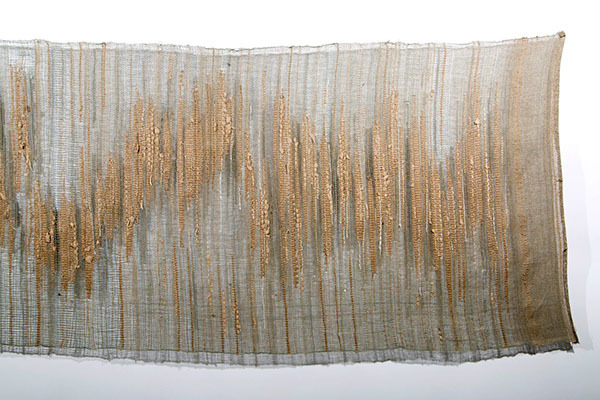 This tapestry was created for the final project of Weaving I, a class taken during the Spring of sophomore year. 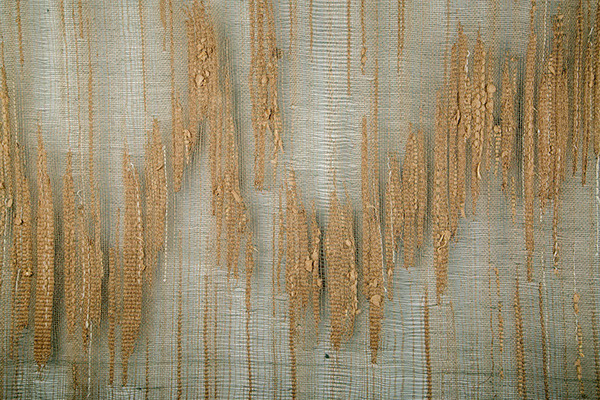 The project was created as a part of a collaboration with the RISD nature lab. Each student selected a specimen from the nature lab, researched the specimen's habitat and characteristics, and then explored their objects through weaving samples, paintings and drawings. My piece is inspired by whelk egg cases. 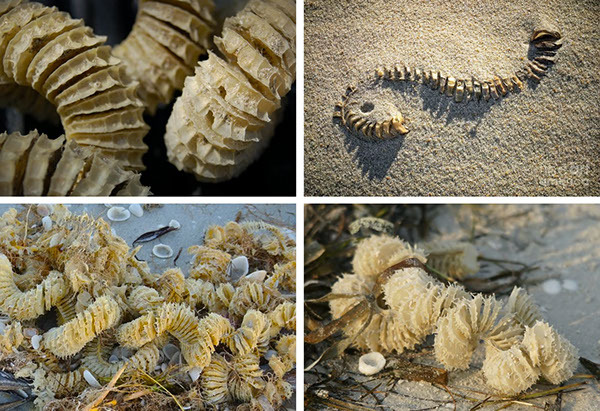 These egg cases hold hundreds of small conch shells and wash up along the coastline. 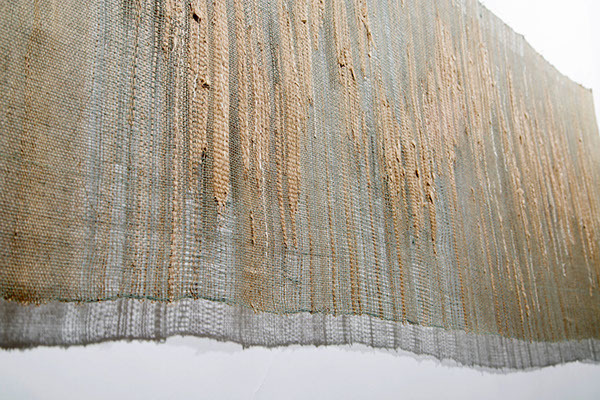 In my piece, I wanted to capture the materiality of the egg cases as well as the helix shape they form. In addition, I wanted to capture the motion of something washing up along the shore in my piece. Reference photos of whelk egg cases. 82" x 31" Tapestry woven on a 4-harness floor loom. 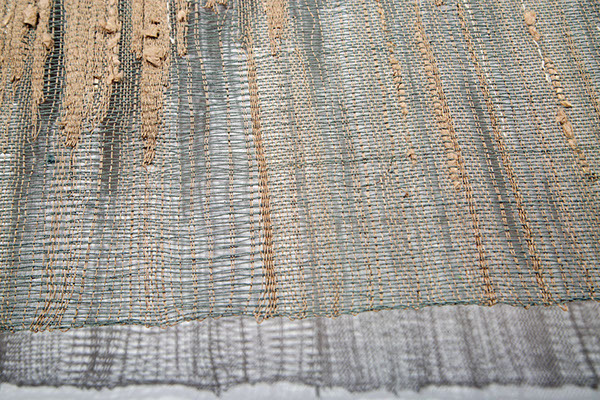 Warp: Hand-dyed linen Warp: Linen, silk noil All materials were provided by the Lenore Tawney Foundation.